The Avenue, a new salon and day spa, manned by only three licensed cosmetologists is attempting give clients a more personal experience. The salon opened in November and offers hair, skin and nail services for clients. The Avenue prefers that people call ahead of time to make appointments in order to avoid keeping clients waiting. 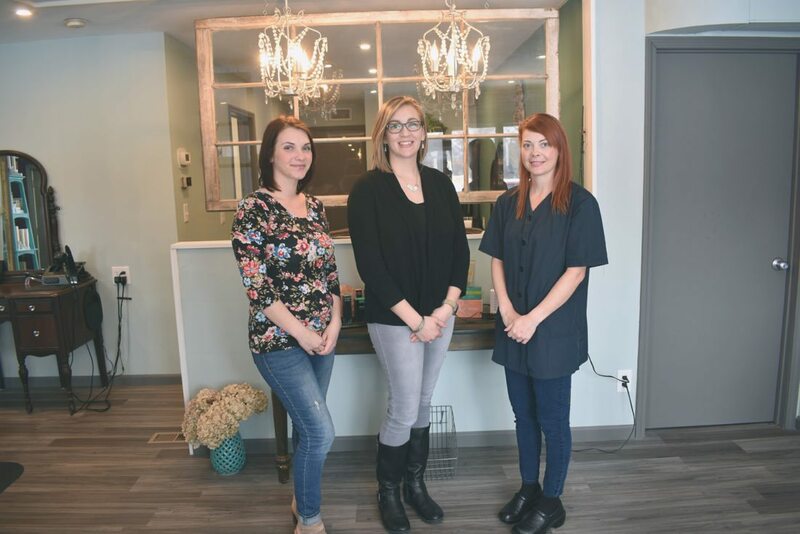 Samantha Smith and Erica Winterberger, both cosmetologists and owners of The Avenue, came together last year to create the intimate salon. Smith previously ran her own salon, Polished, and before that Smith and Winterberger worked together at The Jefferson Terrace. Lisa Miles, cosmetologist, also works at The Avenue and previously worked with Smith at Polished. The Avenue typically sees 15-20 clients and is open Monday-Saturday, usually from 9 a.m.- 6 p.m. The new building features a waxing room, a facial room, manicure station, two pedicure stations, a coloring station and a hair station. The skin care services include deep cleansing and exfoliation with a shoulder and hand massage. Winterberger specializes in hair while Smith and Miles focus more on skin and nail care. The trio share clients with each other and said The Avenue likes to take their time with clients to ensure a quality experience for the prices customers are paying. For example, a women’s hair cut starts and $33 and a men’s is priced at $22. For nail services, a regular pedicure starts at $45. While The Avenue is a smaller salon with fewer clients than a larger operation, Miles and Winterberger agreed that this allows for the cosmetologists to focus on each client more. Winterberger and Miles noted that with larger salons an individual might walk into a business with eight to 10 other clients being served at one time. But with The Avenue the emphasis is on a more personal environment. “We are a smaller salon which I think people like because you get more of a one-on-one personal experience,” Miles said. The Avenue’s name derives from the new salon’s location, 148 Chautauqua Ave. in Lakewood. Winterberger said the name coincides with the address and wanted a name for the company that would be easy for new clients to remember. On Chautauqua Avenue, The Avenue is one of many hair salons and day spas, but Miles and Winterberger were confident their intimate environment sets them apart from other businesses. Winterberger said the “foot traffic” around their location will help business especially when summer rolls around. For more information on The Avenue, call 499-2767.